EarthTeam Interns Receive Naturalist Training at Dow Wetlands! 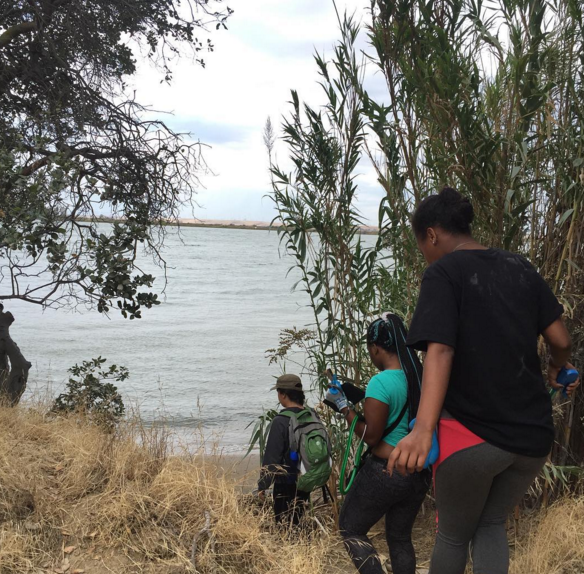 This month EarthTeam students visited the Dow Wetlands to learn about the volunteer efforts at the site to preserve some of California’s last remaining wetlands. In addition to their usual litter pick up, EarthTeam students were lead on a nature walk to learn how to identify some of the more common plants and animals in the region. Here are some reflections from the interns themselves! EarthTeam Interns Help Restore the Antioch Dunes! On Saturday, October 17th, Antioch High School students went on their second field outing to the Antioch Dunes. Students had the opportunity to work side by side with U.S. Fish & Wildlife Services staff Louis Terrazas. Below are some reflections from the interns themselves! Antioch Interns Complete Their Data Training! EarthTeam’s Antioch High interns have been working hard the past couple of weeks to complete their data training. Our interns have now been trained on how to collect data, compile data and analyze data collected from their campus all while having fun! We can’t wait to see how students will use their new skills to address marine debris in their communities! Below are some pictures and intern’s reflections on the experience.